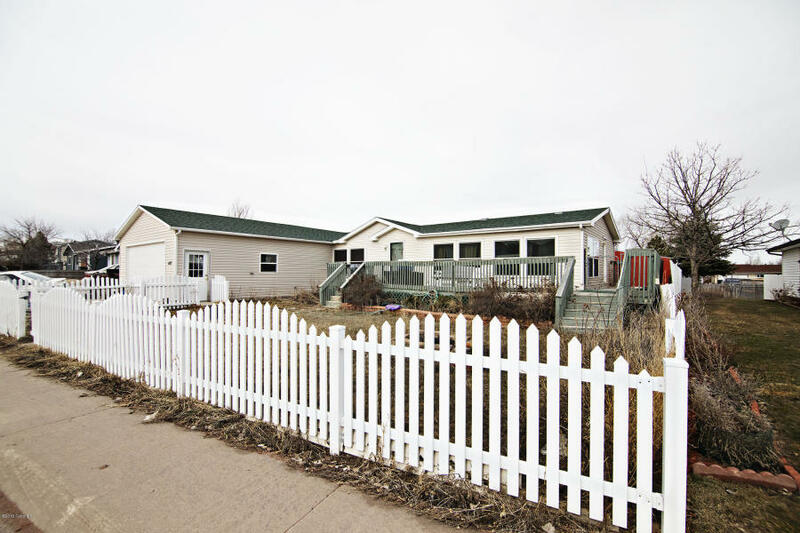 Original Location Manufactured Home with Attached Garage. You are going to love this house! It is an original location manufactured home on owned lot, so no extra fees! It has a large two stall garage, a beautifully fenced in front lawn with mature landscaping already in place, two separate living areas inside, a full cook’s kitchen, three large bedrooms and two bathrooms. The master suite has its own bathroom with a large garden tub for soaking away the day! Of course, there’s a walk-in closet sizable for his and hers belongings. Both living areas provide ample space for stretching out in! You could use one as a gaming room, family room or kids’ area. The fenced in area up front gives you the ability to let your kids and animals play freely without worry of harm. Go ahead and make the move to quit paying rent! Call today for your private showings!